DWP 051: What Do Women Think Of Our Dating Materials? We Have A Letter From A Lady This Week That Breaks It Down For Us – And More! 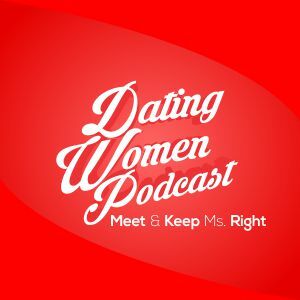 >> DWP 051: What Do Women Think Of Our Dating Materials? We Have A Letter From A Lady This Week That Breaks It Down For Us – And More! *SHE’S 17 YEARS OLDER THAN HIM – AND INTERESTED – SHOULD HE GO OUT WITH HER? *HE DOESN’T KNOW IF IT’S A BUSINESS CARD OR A DATE CARD SINCE HE DIDN’T ASK FOR THE NUMBER – ALWAYS ASK FOR THE #! *SHE BOUGHT HIM A CAR AFTER 6 MONTHS – TOO MUCH! *SHE WANTED TO BUY HER A PACK OF CIGARETTES ON THEIR DATE! *DO YOU ACCEPT A COUNTEROFFER DATE FOR FRIDAY OR SATURDAY IF SHE’S NOT YOUR GIRLFRIEND? *WHAT IF SHE KEEPS PRESSING ABOUT WHAT YOU DO? *“NOT LOOKING FOR A HOOK UP” – WHAT DOES THAT MEAN IN WOMANESE? Hello… Doc. I have been dating Grace for almost two years now. She is very beautiful and a great giver. But the problem is that; she hasn’t introduced me to any of friends, and has kept me a secret even from the people close to her. The other thing is she has an unattractive attitude which tends to make her moody – when I call her at times she doesn’t pickup and never bothers to return my calls. I don’t want to lose her, she’s one of the kind, what can I do to make her respect me and possibly raise her interest level as it were when we first started dating? Your reply will be appreciated…. .